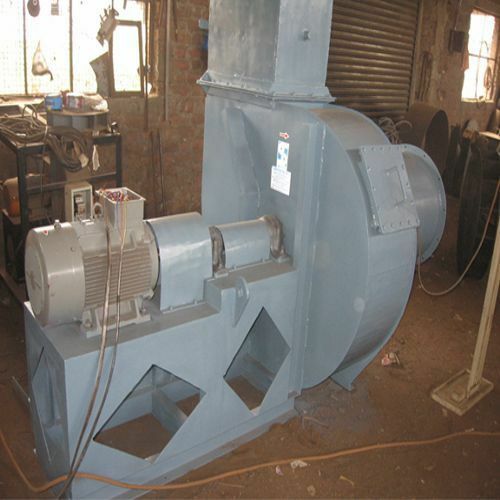 We are leading manufacturers, suppliers and exporters of a wide assortment of Furnace Air Blowers. These are designed to ensure safe and healthy environment for employees especially in steel plants. We use the highest grade of basic components to manufacture these by adhering to stringent norms of quality in accordance with well defined industry standards. We, Usha Die Casting Industries (Inds Eqpt Div)., established our operations in the year 1999, as one of the reputed manufacturers, exporters, suppliers and traders of a boundless assemblage of Fabricated Components. Our product collection encompasses Air Blowers, Industrial Blowers and Pressure Blowers that are extremely popular among our valued customers. We have gained an unbeatable position in the industry because of our exceptional quality product series. Optimum quality raw material procured from our trustworthy vendors is used for manufacturing process and further, we make sure that the existing industrial standards are followed. Our esteemed clients can also avail from us customized fabrication & welding services. At our company, we have established a state-of-the-art infrastructure that is armed with the latest and advanced technology based machines and tools that not only help us in hassle free operations, but allow setting a large production line to fulfill the varied client needs. To manage the tasks, we have hired experienced and well trained professionals, who are proficient in their fields. Owing to the consistent efforts, we have earned L&T Ltd, ABG Shipyard, NPCIL, Essar Steel Ltd and EMC Germany as our key customers. We are exporting our products across the world.